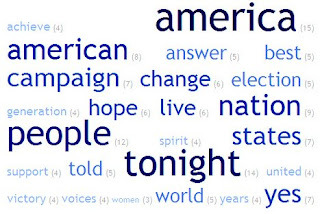 I posted before about the digital elements that Barack Obama brought to his election campaign. I posted before about the amount of money spent on Social Media. For some people the question still seems to be hanging out there, is that all electioneering or does he really understand what Social Media means? 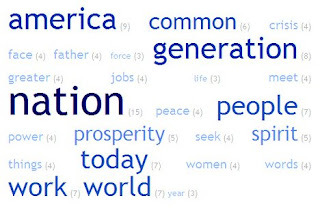 If it's any indication of Obama's personal beliefs and opinion, here are two word clouds of his two most important speeches to date.